Dr. Gilbert is a Board-Certified Dermatologist whose areas of professional interest include general dermatologic diseases, including acne, rosacea, eczema, and psoriasis, as well as the detection and treatment of skin cancers. He is a member of the Fort Wayne Medical Society, Indiana State Medical Association, Academy of Dermatology, and Indiana Academy of Dermatology. 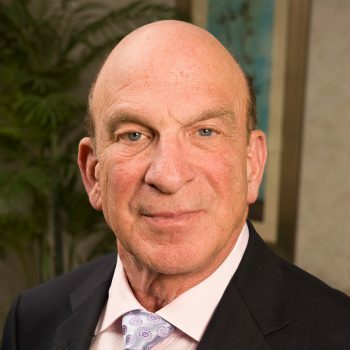 Dr. Gilbert is a past President of the Indiana Academy of Dermatology. Dr. Gilbert is an Assistant Professor of Dermatology at the Indiana University School of Medicine. Dr. Gilbert was very pleasant and a joy to speak with. He was very "in tune" to my concerns, addressed each and explained what he saw and what he recommended. I consider him "my go-to" dermatologist. Very personable, very thorough! Glad you are here in Warsaw! Received wonderful care in a prompt manner. I was impressed that I waited only a few minutes in the waiting room before being taken back for treatment. That never happens at any of my other doctors! I have went to Dr Gilbert for years. He is a great doctor and friendly. The staff is always nice and answere my questions. Dr Gilbert, my provider is a friendly, considerate, and very knowledgeable Doctor. I trust him and recommend his services to you. He is very good at what he does. Dr. Gilbert and his staff was great! The 3 pages of paperwork that I had to complete when I got to the office was overwhelming! The print was so small that I could hardly read it - I'm 73 years old. Dr. Gilbert and his staff were friendly and yet very professional. I would definitely recommend him. I was in and out quickly. Graciously greeted. Treated with respect and efficiency. Dr. Gilbert is just the best! Like always , I've enjoyed seeing Dr. Gilbert, I've been patient of his for at least forty years . My younger year's were spent trying to get a golden tan , not knowing the danger , fortunately I met the good doctor and I see him at least once a year . The staff was very helpful and friendly as was Dr. Gilbert. My wait time was very short, and I was out of the office in a short time.